There are many things consumers think about when they want to do some home improvement. Perhaps they want to renovate the kitchen or set up a home entertainment center with surround sound. Replacing a garage door opener is often overlooked in the home improvement decision-making process. There are many important reasons why you should consider replacing yours. 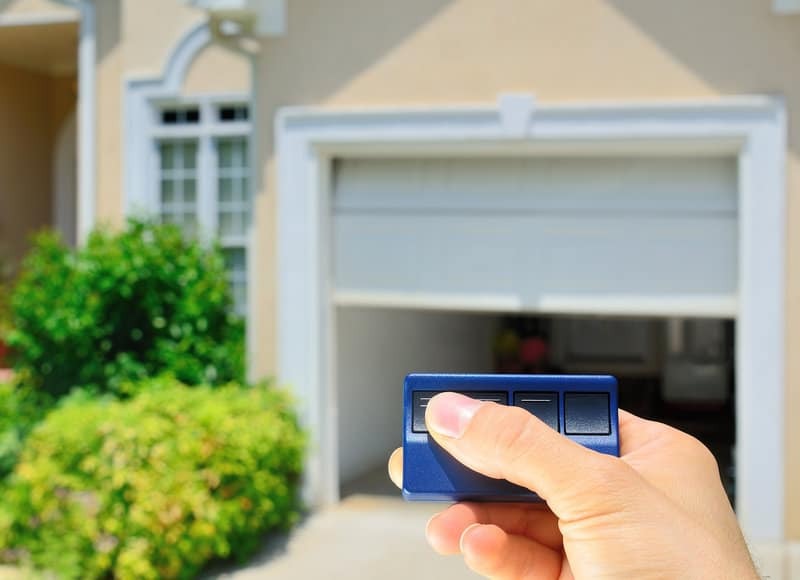 Read on to find out why replacing your garage door opener will benefit you! It may seem obvious like an obvious reason for replacement, but many people neglect to replace their garage door openers when they break. Instead, they opt to repair it themselves, manually open their doors, or park outside the door if they can no longer open the door. If your garage door opener is broken, now is the best possible time in which to replace it. Opening and closing your door manually is a huge hassle. The repair needs to be done anyway, and putting it off means you’re not getting full use of your home. Did you know that your garage door opener uses electricity even when you are not actively using it? Garage door openers are always on standby to receive the signal from your garage door remote to open, so they are always using electricity. This type of electricity use is termed a “phantom load” and costs households up to $200 in added electricity usage per year. That’s quite a bit of money for an appliance that you are not actively using. There’s good news about phantom loads for homeowners who are trying to keep their energy usage down: garage door opener manufacturers are creating energy efficient openers to reduce phantom loads. So while investing in a new garage door opener has a cost up front, it will save you money in the long run, and you won’t have to worry about your energy usage. Let’s face it, older model garage door openers are loud. This is a great feature for parents who want to catch their teenage children in the act of sneaking out or breaking curfew. For everyone else, loud garage door openers are an annoyance. 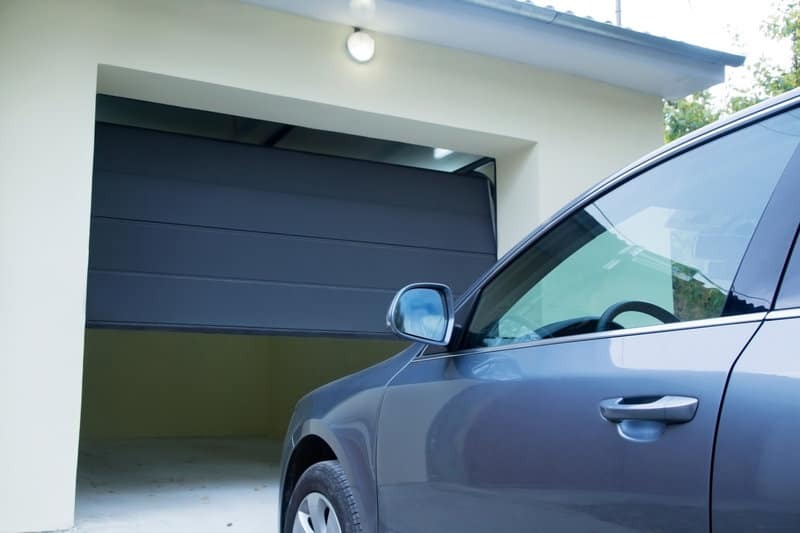 Today’s screw drive and belt drive garage door openers provide homeowners with a much quieter door opening experience. If your garage door opener lets the whole neighborhood know you’re home, consider replacing it. Have you ever forgot your garage door remote, or has the battery on it died? In those times, you likely had to get out of your car and use a key to open the door, and then manually open the door all the way in order to park your car. It’s frustrating, but luckily you don’t have to do that forever. New models of garage door openers offer keypads that are mounted on the wall outside the garage for easy opening and closing. All you have to do is punch in the code and the door will open. No key, no manual opening. Garage door openers are connected to your home’s electricity as its source of power. This basic power setup works well for homeowners in areas with reliable electricity. Homeowners in areas that have frequent power outages due to thunderstorms, ice storms, or brownouts from heatwaves are not lucky. Situations that cause power outages are typically ones in which you prefer you and your car to be safe in your garage. Modern garage door openers have the option of added battery backup systems that the opener will rely upon in the event your home is without power. Older garage door openers make it easy for thieves you access your home. This is because they rely on remotes that have a fixed code, so a thief can bring a remote to your home and change the code until it opens your door. This is also the reason why many homeowners accidentally open their neighbor’s garages when they mean to open their own. This leaves your neighbors’ homes vulnerable to theft. Newer models use a different code every time you open or close the door, making it extremely difficult for uninvited visitors to gain access to your home. If your garage door opener was installed prior to 1993, then it may have an issue that puts you, your family, and your pets at risk. 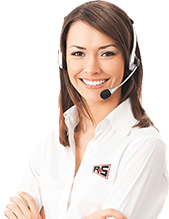 Garage door openers manufactured since 1993 are required to have a safety reversal feature that stops the door from closing in the event that something or someone is stuck under the door. This is achieved through the placement of sensors a few inches above the floor that triggers the door to reverse whenever the sensors detect something under the door. If your garage door does not have this feature, then you should seriously consider replacing your opener to prevent injury to your family. It also protects against liability should a neighbor’s child or pet get stuck under your garage door. Modern garage door openers add increased security and convenience to your life. Many permit you to open or close your door from anywhere through an app and Wi-Fi. Did you drive off this morning and can’t remember if you shut your garage door when you left? Just open the app and close the door without having to lose time at work. You can even ask the app to alert you if you’ve left the garage door open. This is also beneficial if you have something delivered but can’t be there. Just open the app and the person dropping off the delivery can leave it in your garage. Today’s homebuyers have a lot of options available to them. If you want to sell your home, or if you’re thinking you will sell soon, a garage door opener with the latest technology and safety and security features will increase the value of your home. There are many changes you can make to your home, but replacing a garage door opener has multiple benefits for you and your home. Not only can it make your life more convenient, but it can also help protect against intruders and reduce your electric bill. If you have any of these issues, consider replacing your garage door opener to improve your quality of life. Check out our blog for more information about garage doors and your home.